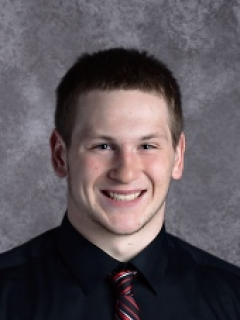 Trevor Anthony, a graduating senior at Elsberry High School, has been named one of more than 4,500 candidates in the 2019 U.S. Presidential Scholars Program. The candidates were selected from nearly 3.6 million students expected to graduate from U.S. high schools in the year 2019. Inclusion in the U.S. Presidential Scholars Program, now in its 54th year, is one of the highest honors bestowed upon graduating high school seniors. Scholars are selected on the basis of superior academic artistic achievements, leadership qualities, strong character and involvement in community and school activities. The U.S. Presidential Scholars Program was established in 1964 by Executive Order of the President to recognize some of our nation’s most distinguished graduating seniors for their accomplishments in many areas: academic success, leadership and service to school and community. It was expanded in 1979 to recognize students demonstrating exceptional scholarship and talent in the visual, creative and performing arts. In 2015, the program was expanded once again to recognize students who demonstrate ability and accomplishment in career and technical fields. Annually, up to 161 U.S. Presidential Scholars are chosen from among that year’s senior class, representing excellence in education and the promise of greatness in America’s youth. All Scholars are invited to Washington D.C. in June for the National Recognition Program, featuring various events and enrichment activities and culminating in the presentation of the Presidential Scholars Medallion during a White House sponsored ceremony. A distinguished panel of educators will review these submissions and select 600 semifinalists in early April. The Commission on Presidential Scholars, a group of up to 32 eminent citizens appointed by the President, will select the finalists and the U.S. Department of Education will announce the Scholars in May. Scholars will be invited to Washington D.C., for several days in June to receive the Presidential Scholars Medallion at a recognition ceremony and to participate in events and activities. Anthony is the son of Anne Moe and Mark Anthony of Elsberry. For more information about the U.S. Presidential Scholars Program, parents and students can call the U.S. Presidential Scholars Office at 507-931-8345 or send an email to psp@scholarshipamerica.org.